Let's just say I have written and rewritten this post more times that I would like to admit, so here it goes. to harm you, plans to give you hope and a future. The truth is that I knew when I created this website that this blog would eventually be used for more than just glimpses of my work, my heart for the organizations I volunteer for or things I advocate for. I knew it would eventually be to share more of my family; I just didn't know how long that journey would take (which is a big reason to why this website has been in the works for a few years). 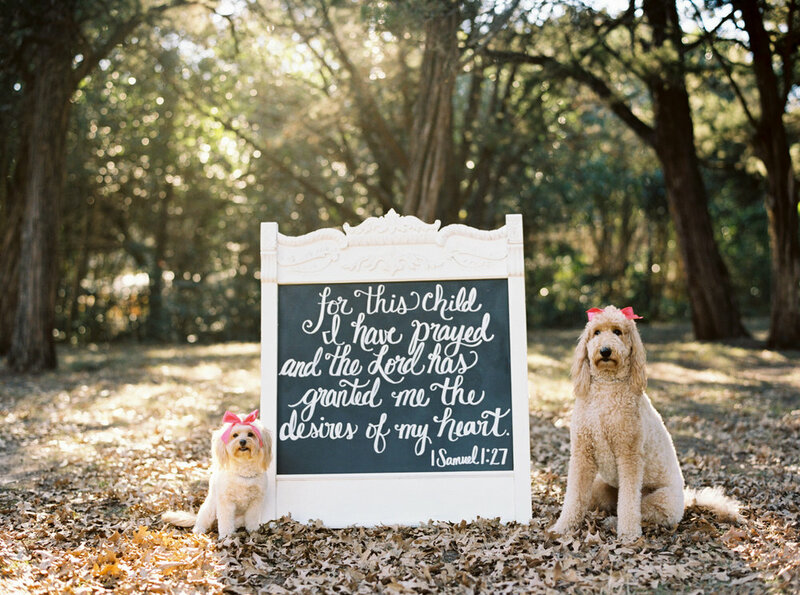 If you know me you know that I have two fur babies (the CL Mascots as we call the goldendoodles) and am married to the most amazing man! I know that every wife says that about her husband, but I truly mean it. When we got married 1,971 days ago I thought I loved him with all of my heart. 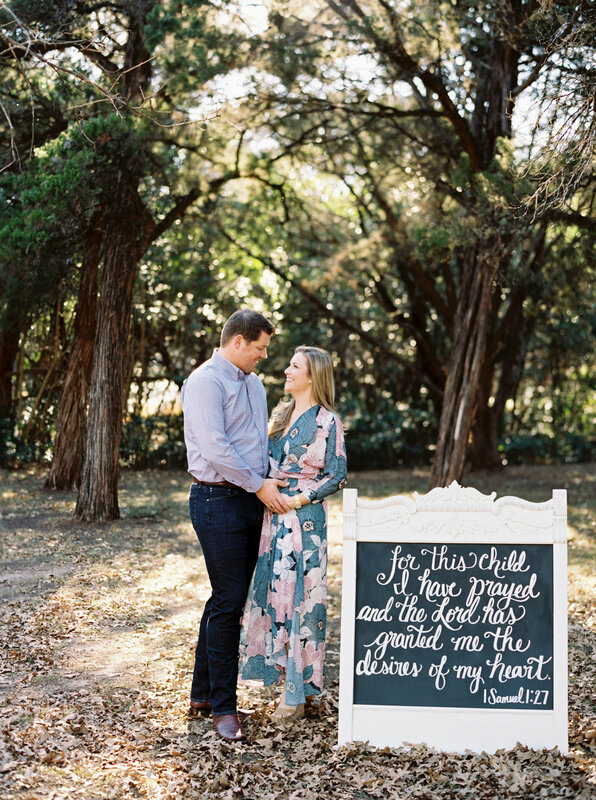 Fast forward to our third year of marriage we both knew our love had grown as we started really visiting the idea of babies and a family outside of our four-legged children. Fast forward, yet again, to today and I truly understand that love knows no bounds and is bigger than I have yet to experience. However, the one thing we didn't know when we began that conversation was just how long God had our journey planned for. With more bumps in the road than I like to admit after more than 1,050 days something was different. Although we had been to this place before it wasn't until December 6, 2017 that it became more of a reality than the times before. With us taking things a little slower than others may have I am beyond blessed and incredibly humbled to share that Blair and I will welcome the biggest blessing we could ever comprehend this July. The amazing Courtney Brown of Courtney Leigh Photography captured all of these amazing images that Blair and I will be forever grateful for! Including a tiny baby bump we have been praying over for 17 weeks! The honest truth is that while we are beyond ecstatic to share our news my heart also goes out to those in the midst of this journey. While we don't know what your individual story might be, we do know what its like to love something so much and never meet. We know what its like to be asked when were going to jump on the baby train (to which my husband will tell you we may have very easily been the conductor - his ability to make me laugh may be one of my most favorite things about him) and what it's like to see baby announcement after baby announcement, or what it seems. Please know that if you're in the middle of a journey, confused or discouraged that God is with you. If you need someone to talk to, or someone to pray for you I am more than happy to, and I'm happy to share more of our story. 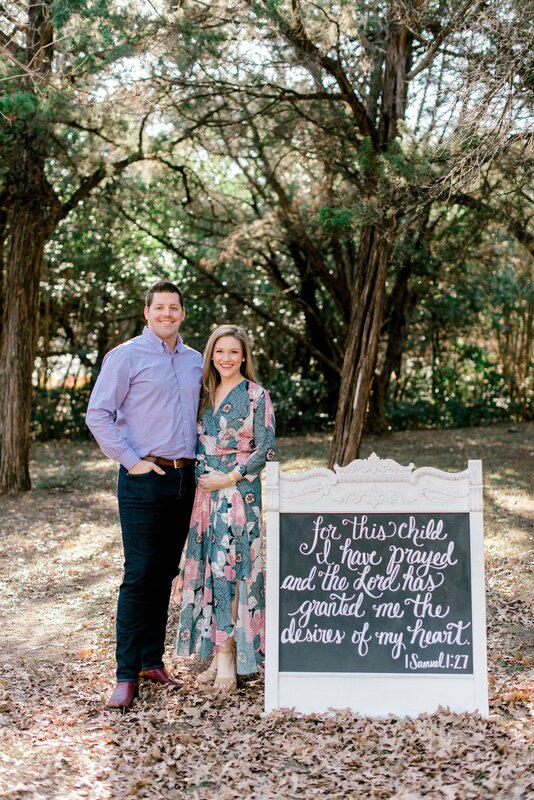 To each of you who have shared in our journey, who have prayed over this precious baby or have loved on us and our marriage - we are so grateful for you and can't thank you enough! 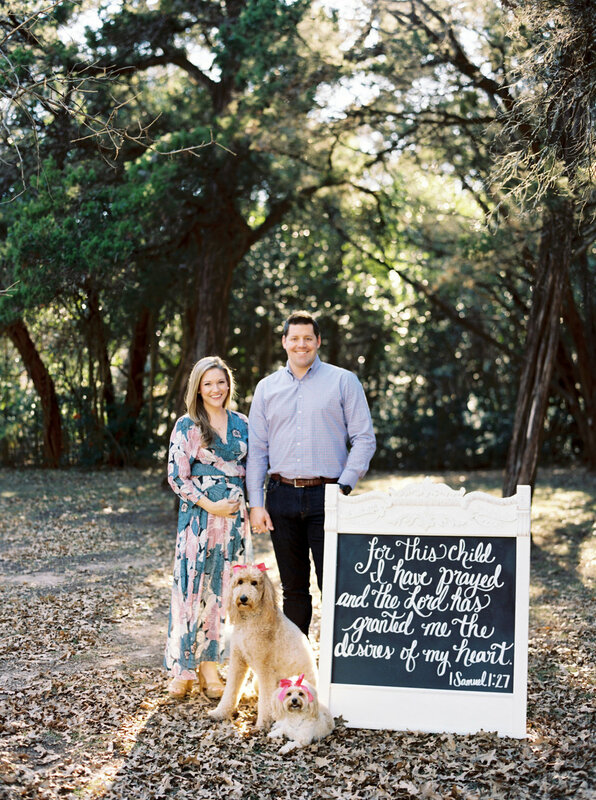 We would love for continued prayers as we begin an entirely new chapter and welcome baby Frederick this summer. For this child I have prayed and the Lord has granted me the desires of my heart. I would love to grab coffee!